The Spirit of the Winter War is one if the most deeply ingrained Finnish myths. But was this legendary spirit fact or fiction? Did the common threat faced by all Finns genuinely unify a people still divided by a horrific civil war; if so, how solid was this unity? And how did Finns experience the Winter War; what did it feel like? 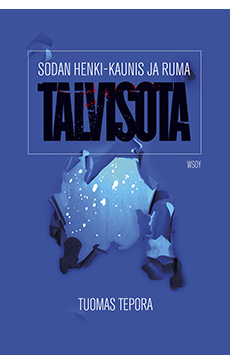 Tuomas Tepora strips the Spirit of the Winter War of its mantle of myth and engages in a broad examination of the phenomenon from various angles, primarily from that of the home front but also from the perspective of those on the front lines. Did the Spirit of the Winter War ignite spontaneously among the nation’s people, or was it a product of state propaganda? When war broke out, people from all backgrounds rose to fight on behalf of a country they experienced as their own, but undercurrents also flowed beneath the national fervor: fear, selfishness, uncertainty. At the end of the war, fractures appeared in the spirit, and it began to crumble. Suspicion, conspiracy theories, and searches for scapegoats emerged. The honorable fight ended in a seemingly shameful peace, and hearts were torn between desire for a rematch and hope for lasting peace. The Spirit of War is not a traditional military history, but a story of a society at war and the cultural and emotional history of war. This landmark work also makes use of abundant never-before-seen material.